Set of Washi FL cutting shears and the Washi FL 30T thinning shears. 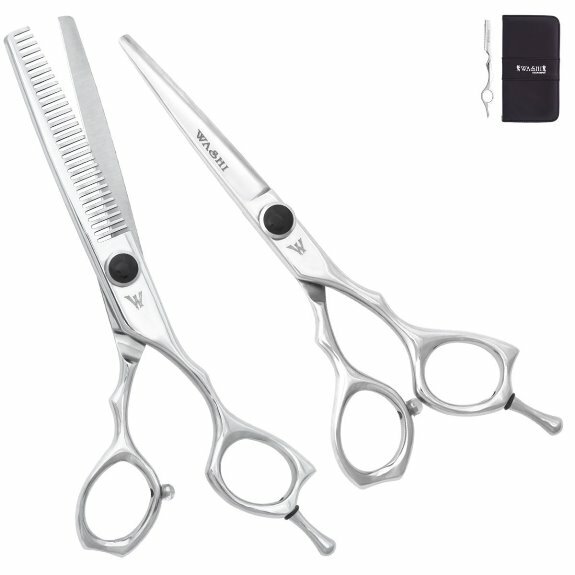 This beautiful shear set features a unique anatomical "Butterfly" handle design, with the thumb ring bent downwards and the finger ring slightly upwards. Feels extremely comfortable in your hand. Made for a small to medium size hand. Create a hair style you can be proud of.